More than $300 in Exclusive Discounts to Top Omaha Attractions! You're invited to experience an adventure for the whole family and make new memories in a city built for the weekend ...and really, any day can be part of the weekend, right? Explore the world's largest indoor desert, hop aboard history, wander through an urban oasis and a pink marble masterpiece, play with the Super Gravitron ball machine, take a safari through the wilderness, soar in a flight simulator, shop till you drop, and eat inside an amazing pizza machine. With the Omaha Savings Pack you'll receive special discounts to all of these memory-making adventures. The Omaha Savings Pack gives you an all-access pass to exclusive discounts at top Omaha attractions. With nothing to download, the Savings Pack will be instantly delivered via text and email, and allows for easy mobile redemption. 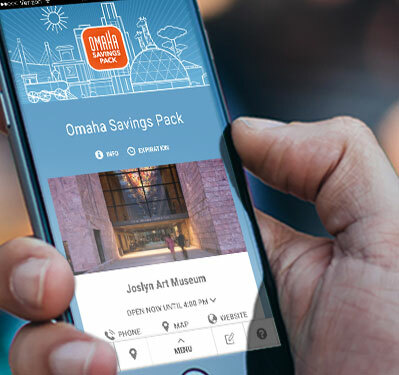 The Omaha Savings Pack includes exclusive discounts to top Omaha attractions. 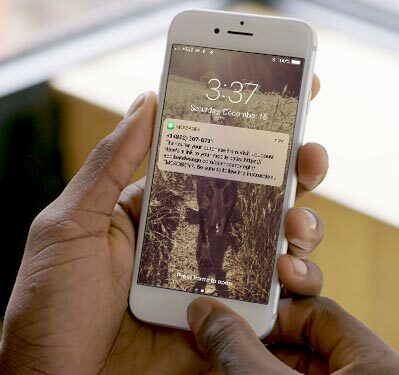 Your Savings Pack will be instantly delivered to your phone via text and email, and is ready to use immediately! There is no app to download. Your Savings Pack can be saved to your phone’s home screen for easy one-tap access. When visiting a location, simply present the coupon, get the code or show the barcode, and redeem your discount. Visit the region's top rated, all-indoor entertainment center and award-winning Amazing Buffet & Arcade Experience! Enjoy 60,000 square feet of amazing all-indoor fun with rides and attractions including Amazing Quest Laser Tag, Go Karts, Bumper Cars, Mini-Bowling, the Frog Hopper and Wild Ride Coaster. Don't miss more than 170 of the latest and greatest arcade games. The Durham Museum is the region's premier hands-on history museum which makes its home in a National Historic Landmark of Omaha's beautiful Art Deco Union station. The authentic 1931 soda fountain offers sweet treats including sundaes, malts and old fashioned phosphates. Discover hard-to-find railroad memorabilia, children's toys and books plus gifts for the history buff at the museum's Hitchcock Museum shop. Joslyn Art Museum has been a premier center for the visual arts for more than 80 years, and includes works from artists such as Renoir, Rembrandt and Pollock. The museum's popular Art Works space provides an interactive hands-on experience for visitors young and old. Nine activity stations will pique your curiosity and stimulate your creativity. Find unique, art-inspired merchandise at Joslyn's Hitchcock Museum Shop. Discover 100 acres of botanical beauty at this living museum nestled in the riverfront hills. More than twenty themed gardens including the aromatic rose garden, Victorian garden, children's garden, and the popular model railroad garden (May-Oct) offer a variety of ways to explore and appreciate nature. The all-seasons Marjorie K. Daugherty Conservatory is a 17,500 sq. ft. garden under glass filled with lush tropical and temperate plant life you can enjoy any time of year. Amenities include: seasonal tram tours, gift shop and café. Wildlife Safari Park is a four mile, drive-through North American wildlife adventure. 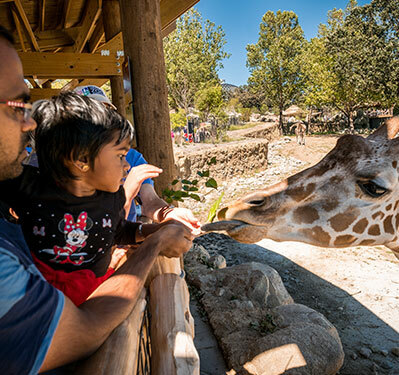 Visitors feel like they're on an actual safari, coming face-to-face with North American animals such as bears, wolves, elk, white-tailed deer, bison, pronghorn antelope and waterfowl. Park the car and explore the nature trails that surround the park's lake. Enjoy concessions and animal inspired gifts at the park's visitor center. ADA accessible. Get ready for the whole family to learn through play. One of the Midwest's largest children's museums, it offers outstanding interactive exhibits such as the signature Super Gravitron ball machine, Zooland, Imagination Playground, a science and technology lab, art studios, a kid-sized grocery store, a kid-sized car repair center, an old-fashion carousel and train, a splash garden, and much more. Toys, science experiments, costumes and art kits can be purchased at the museum's fun-filled gift shop. Internationally known as one of the world's best, Omaha's zoo is home to the world's largest indoor desert under the world's largest geodesic dome, the world's largest nocturnal exhibit filled with creatures that only come out at night, and North America's largest indoor rainforest complete with roaring waterfalls and swinging gibbons. It's a biological park dedicated to conservation and filled with year-round wild kingdom adventures. A Smithsonian affiliate and home to the nation's largest collection of Cold War aircraft and artifacts in the United States. Its 300,000 sq. ft of exhibit and event space features a flight simulator, children's learning center and an impressive collection of iconic and rarely seen aircraft. Omaha's premier outdoor shopping village features more than 60 specialty retail shops and restaurants, along with an outdoor amphitheater, a 16-screen theater, and comedy club. The open-air design replicates a nostalgic "Main Street" shopping district where customers can enjoy cozy fireplaces during the fall and winter, interactive water features during the warmer seasons and convenient store-front customer parking. 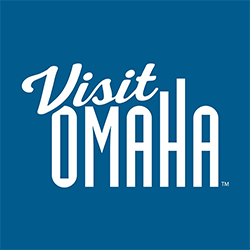 Plan Your Omaha Getaway Now!